Plans are underway for The Willows School to open in Algakirk in the new year. The vision of founder Darryll Loizu is to provide the local community with an educational setting that meets the special needs of children in the area, by engaging them through outdoor learning experiences in a purpose-designated green space in the heart of the village. A school for pupils with mild to moderate special needs. These are the children who will benefit most from having daily access to a calm, natural space where they learn through sensory play. The school has nature at its heart. It will reduce anxiety and feed the minds & souls of the children. This low impact development, will have a profound impact of those children who benefit from it. While they are still small, vulnerable, impressionable and able to learn, they will have the space and calm they need, with well-staffed with professionals, to progress and grow as individuals. Why this school is important? The paddocks would be maintained intact as an open green space. 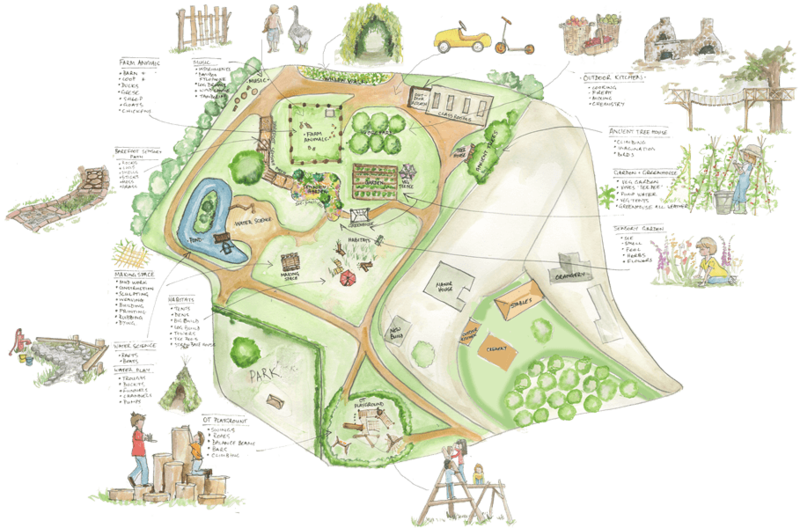 Small areas will be used as garden spaces, edible forest, picnic area, vegetable patches and small-scale play, enabling children to learn in a safe, quiet, natural space to explore the outdoors and learn through nature. Opportunities for outdoor activities like water play, growing, picking and preparing fruit and vegetables, simple and safe ‘camp cooking’ and making wigwams will be the core activities of the school. The existing orchard, small animal enclosure and timber building will be the main focus of the school. The day school aims to address the current lack of provision in Lincolnshire, which has a proportionally high number of learners with specific and complex learning needs. This would be of direct benefit to families and carers, who are forced to look further afield, often travelling many miles every day, to find schools which suit the individual needs of their loved ones. It would also relieve some of the pressure facing existing schools and the local authority on both a practical and financial level. Pupils can expect an engaging learning experience, rich in sensory input, which fosters a culture of curiosity. They will be immersed in a natural environment, and learning activities will be meaningfully structured around this. In addition to making happy memories, the children will be building their life skills to equip them for the next phase of their journeys. Surrounded by nature, including the ‘edible forest’, typical activities will include growing, picking and preparing fruit and vegetables, camp cooking and wigwam building. Children will also tend to the animals and have access to the therapeutic centre for their physical needs. All activities will be purposeful and promote holistic wellbeing in the children – a strong foundation upon which to build. Darryll’s own experience of raising a child with autism has given her direct insight into the challenges faced by carers in the same situation. Following a frustrating, prolonged search for a suitable learning environment for Nicholas, Darryll was introduced to a special school in London – The Chelsea Group of Children – and never looked back. Finally, her child had been given the opportunity to flourish in his own way. The partnership she formed with the school forms the basis of this new innovation, and the learning programme at The Willows School will be directed by the established methodology that has already helped Nicholas and many other children fulfil their potential. The day school aims to address the current lack of provision in Lincolnshire, which has a proportionally high number of learners with specific and complex learning needs. This would be of direct benefit to families and carers, who are forced to look further afield, often travelling many miles every day, to find schools which suit the individual needs of their loved ones. It would also relieve some of the pressure facing existing schools and the local authority on both a practical and financial level. A mini bus will bring many of the children to and from school. This will drop off and pick up within the school grounds. Those coming by car will be dropped off within the school grounds. Adequate parking for all staff and parents is available within the school grounds, including turning to ensure no parking, waiting or turning in the lane. The school will be located within existing buildings which will be restored, adapted and maintained to accommodate the school. This development of the land and outbuildings is extremely low impact. 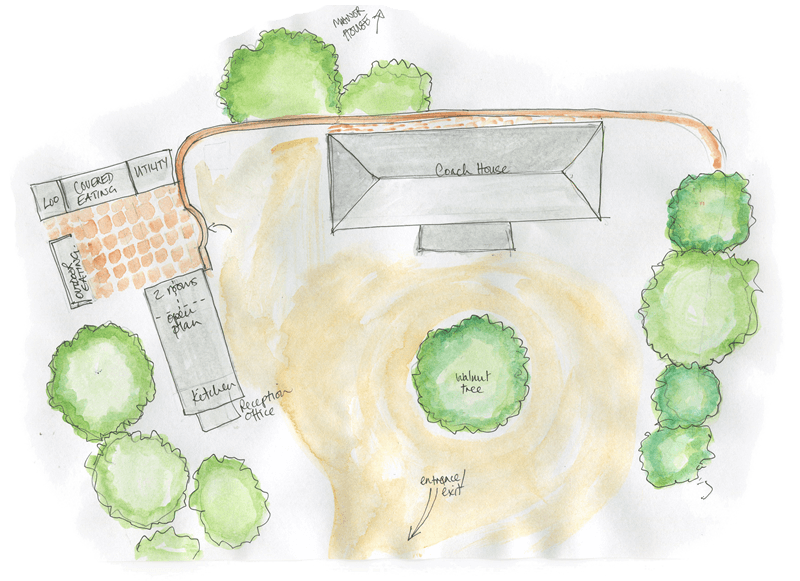 Little will change in terms of how the land and existing outbuildings will look. This ancient green space in the heart of the village will be preserved, maintained and protected for future generations. It will also bring back to life an historic coach house with a sympathetic restoration and re-purpose – primarily as my family residence, but also to be used to meet with parents and staff during the school day.